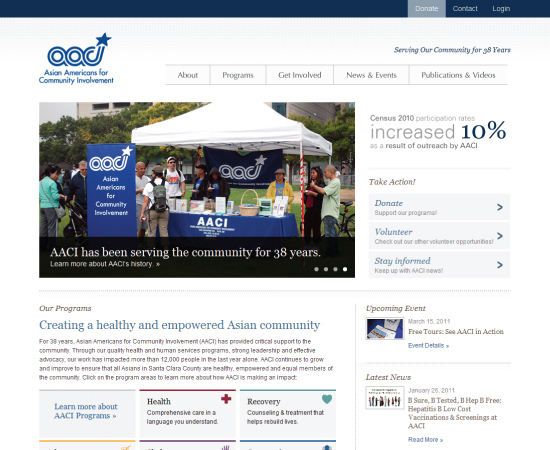 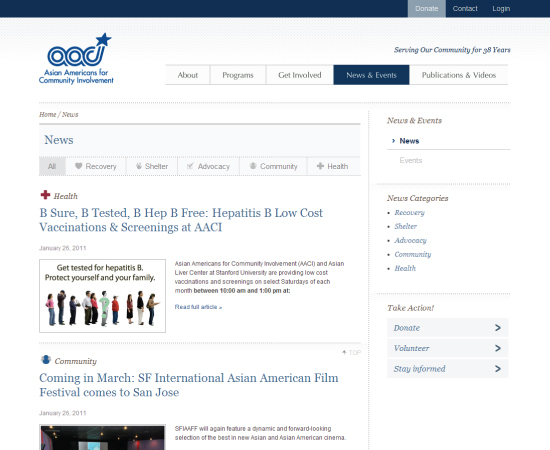 Asian Americans for Community Involvement (AACI) is Santa Clara County's largest community-based organization focused on Asian Americans in the community. 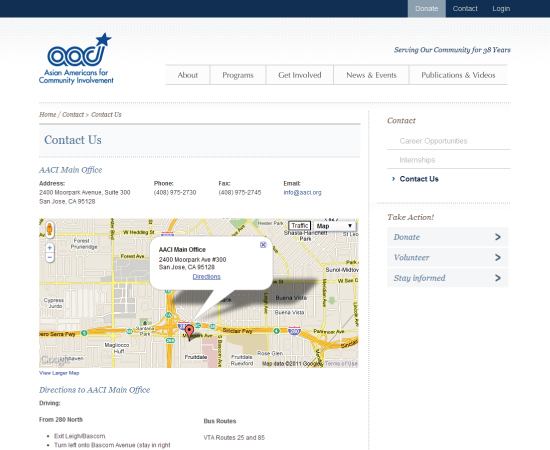 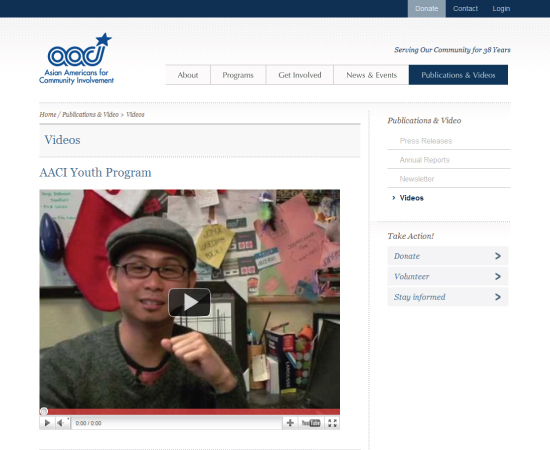 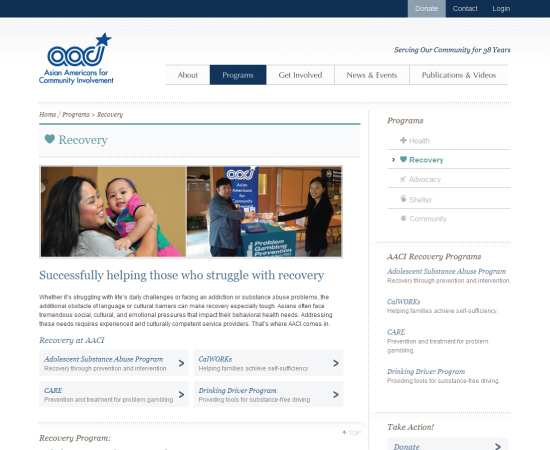 The goal of the website appeal to donors and create a unified look for AACI and AACI programs. 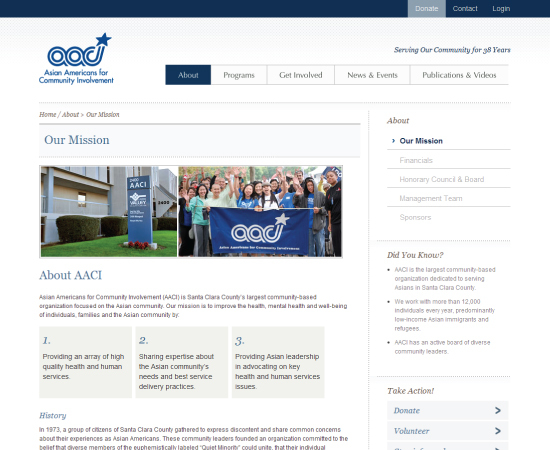 I was responsible for the design of the website and working with the client focus their branding in a branding guide.